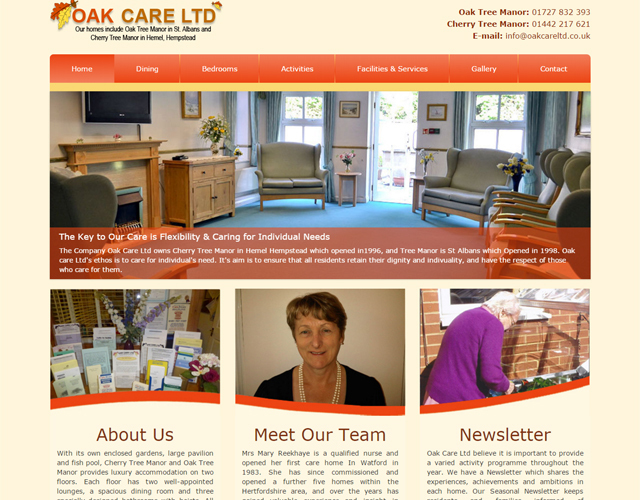 Oak Care Ltd is a senior care home and home for elderly people, providing 24 hours personal care. Their staffs make sure that all the residents retain their dignity and individuality and get personal care based on their individual needs. 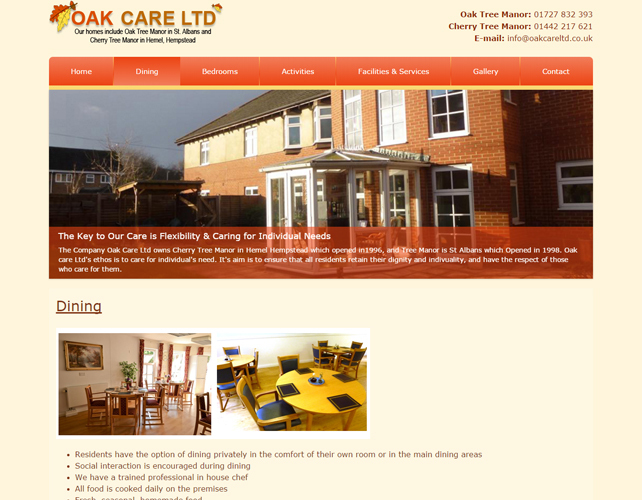 Oak Care Ltd is a family run business having two residential care homes. 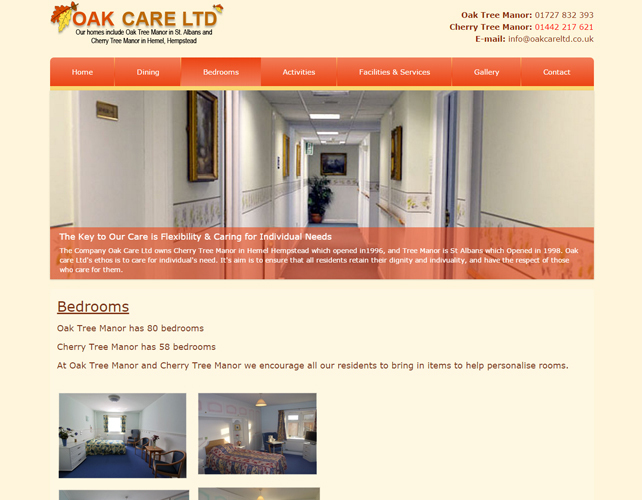 One is Cherry Tree Manor based in Hemel Hempstead with 58 beds and the second being Oak Tree Manor in St Albans with 70 beds. 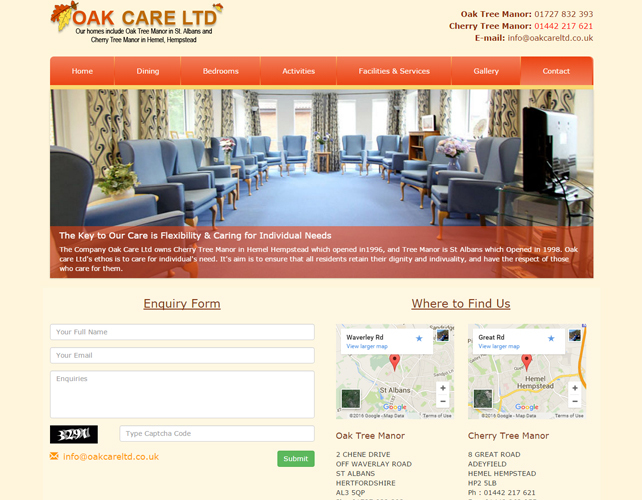 They make appropriate arrangements for other health needs for its residents. 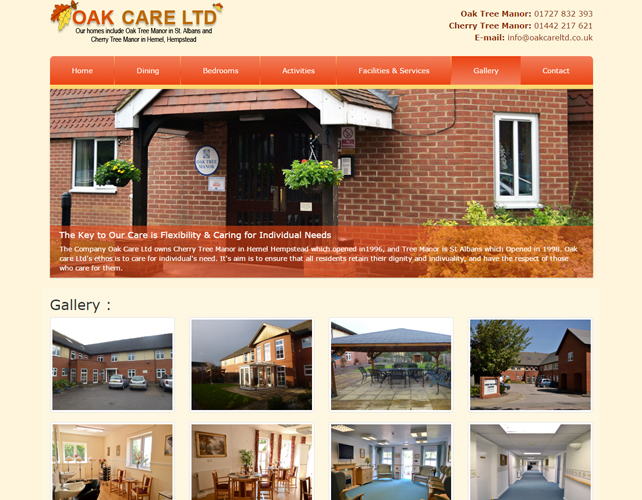 Their aim is to provide homely and bright accommodation to all the residents.